Yalcin M, Godekmerdan E, Tayfur KD, Urkmez M, Yazman S, Bademci S. Ascending aortic cannulation in acute type A aortic dissection: a frightening but lifesaving procedure. 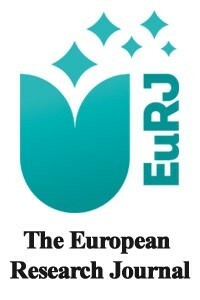 Eur Res J. 2016 Mar;2(1):74-6. Grabenwoger M, Weiss G. Type A aortic dissection: the extent of surgical intervention. Ann Cardiothorac Surg. 2013 Mar;2(2):212-5. Yavuz S. eComment. what is the best arterial cannulation site in a complicated patient with acute type A aortic dissection? Interact CardioVasc Thorac Surg. 2008 Feb;7(1):134-5. Fusco DS, Shaw RK, Tranquilli MT, Kopf GS, Elefteriades JA. Femoral cannulation is safe for type A dissection repair. Ann Thorac Surg. 2004 Oct;78(4):1285-9. Yavuz S, Goncu MT, Turk T. Axillary artery cannulation for arterial inflow in patients with acute dissection of the ascending aorta. Eur J Cardiothorac Surg. 2002 Aug;22(2):313-5. Yavuz S, Toktas F, Yumun G, Turk T. eComment. Extended utilization of axillary cannulation as arterial access for cardiopulmonary bypass. Interact CardioVasc Thorac Surg. 2013 Jun;16(6):759. Schachner T, Nagiller J, Zimmer A, Laufer G, Bonatti J. Technical problems and complications of axillary artery cannulation. Eur J Cardiothorac Surg. 2005 Apr;27(4):634-7. Urbanski PP, Lenos A, Lindemann Y, Weigang E, Zacher M, Diegeler A. Carotid artery cannulation in aortic surgery. J Thorac Cardiovasc Surg. 2006 Dec;132(6):1398-403. Preventza O, Garcia A, Tuluca A, Henry M, Cooley DA, Simpson K, et al. Innominate artery cannulation for proximal aortic surgery: outcomes and neurological events in 263 patients. Eur J Cardiothorac Surg. 2015 Dec;48(6):937-42; discussion 942. Wada S, Yamamoto S, Honda J, Hiramoto A, Wada H, Hosoda Y. Transapical aortic cannulation for cardiopulmonary bypass in type A aortic dissection operations. J Thorac Cardiovasc Surg. 2006 Aug;132(2):369-72. Klotz S, Heuermann K, Hanke T, Petersen M, Sievers HH. Outcome with peripheral versus central cannulation in acute Type A dissection. Interact Cardiovasc Thorac Surg. 2015 Jun;20(6):749-53; discussion 754. Inoue Y, Ueda T, Taguchi S, Kashima I, Koizumi K, Takahashi R, et al. Ascending aorta cannulation in acute type A aortic dissection. Eur J Cardiothorac Surg. 2007 Jun;31(6):976-9; discussion 979-81. Khaladj N, Shrestha M, Peterss S, Strueber M, Karck M, Pichlmaier M, et al. Ascending aortic cannulation in acute aortic dissection type A: the Hannover experience. Eur J Cardiothorac Surg. 2008 Oct;34(4):792-6; discussion 796. Frederick JR, Yang E, Trubelja A, Desai ND, Szeto WY, Pochettino A, et al. Ascending aortic cannulation in acute type A dissection repair. Ann Thorac Surg. 2013 May;95(5):1808-11. Reece TB, Tribble CG, Smith RL, Singh RR, Stiles BM, Peeler BP, et al. Central cannulation is safe in acute aortic dissection repair. J Thoracic Cardiovasc Surg. 2007 Feb;133(2):428-34. Suzuki T, Asai T, Matsubayashi K, Kambara A, Kinoshita T, Hiramatsu N, et al. Safety and efficacy of central cannulation through ascending aorta for type A aortic dissection. Interact Cardiovasc Thorac Surg. 2010 Jul;11(1):34-7. Gobolos L, Ugocsai P, Foltan M, Philipp A, Thrum A, Miskolczi S, et al. Central cannulation by Seldinger technique: a reliable method in ascending aorta and aortic arch replacement. Med Sci Monit. 2014 Nov 22;20:2386-93. Taguchi S, Mori A, Suzuki R, Ishida O. Simplicity, skills, and pitfalls of ascending aortic cannulation for type A aortic dissection. J Cardiothorac Surg. 2013 Jun 26;8:161. Yamada T, Yamazato A. Central cannulation for type A acute aortic dissection. Interact Cardiovasc Thorac Surg. 2003 Jun;2(2):175-7. Jakob H, Tsagakis K, Szabo A, Wiese I, Thielmann M, Herold U. Rapid and safe direct cannulation of the true lumen of the ascending aorta in acute type A aortic dissection. J Thorac Cardiovasc Surg. 2007 Jul;134(1):244-5. Conzelmann LO, Kayhan N, Mehlhorn U, Weigang E, Dahm M, Vahl CF. Reevaluation of direct true lumen cannulation in surgery for acute type A aortic dissection. Ann Thorac Surg. 2009 Apr;87(4):1182-6. Tiwari KK, Murzi M, Bevilacqua S, Glauber M. Which cannulation (ascending aortic cannulation or peripheral arterial cannulation) is better for acute type A aortic dissection surgery? Interact CardioVasc Thorac Surg. 2010 May;10(5):797-802. Kamiya H, Kallenbach K, Halmer D, Ozsoz M, Ilg K, Lichtenberg A, et al. Comparison of ascending aorta versus femoral artery cannulation for acute aortic dissection type A. Circulation. 2009 Sep 15;120(11 Suppl):S282-6. Wada H, Matsumura H, Minematsu N, Amako M, Nishimi M, Tashiro T. Direct and transapical central cannulation for acute type a aortic dissection. Ann Vasc Dis. 2014;7(3):286-91.